Gotcha! Come on now, you didn’t actually believe I could do it, did ya?? For the record, the photo above was not AT ALL staged. 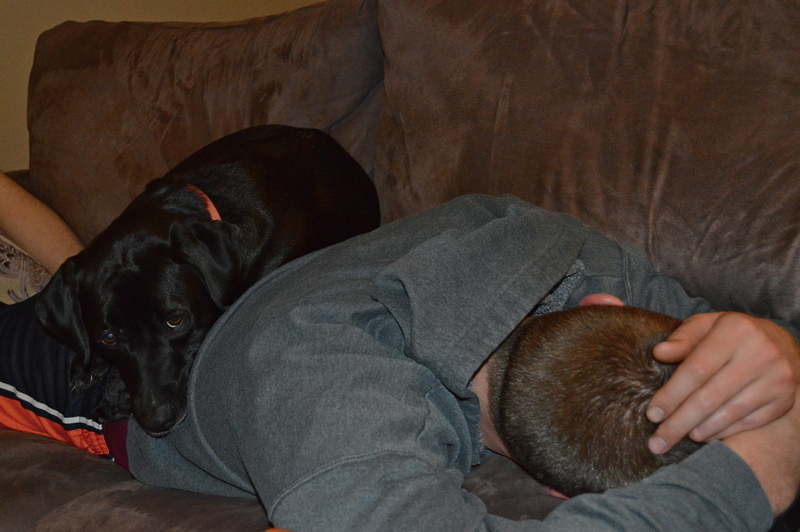 J was truly asleep after a long day at work and late night at the gym, and of course, one of the dogs just had to take advantage of the opportunity (ahem, Geege). Fundraiser: Prize #2 - Pet Portraits! Enter your email address to follow our story and receive notifications of new posts by email.